I have loved detective fiction since I was first introduced to it during high school in a selective course named “Detective and Science Fiction.” Being high school, we read stories about the more intellectual detectives such as Sherlock Holmes, C. Auguste Dupin, and Lord Peter Wimsey. It wasn’t until later when, now hooked on the genre, I discovered Carroll John Daly, Dashiell Hammett, and Raymond Chandler, who wrote the grittier, more physical, and, to me, more personal hard-boiled style of detective fiction. Who wouldn’t want to be able to assemble the pieces of a mystery the way Miss Marple could or be able to easily see things others didn’t, like Sherlock Holmes? Of course, that would require having a different sort of brain than the one I was given. However, as a teenager, I could see myself perhaps not as a “tough guy” but at least as a tougher version of me. A guy who didn’t let things affect him the way they affected other people; a guy who always had a snappy comeback or a cleverly cool response to an insult, and in high school, such abilities would come in handy. The idea for Talk/Write Like a Detective Novel Day came to me after I watched the rise in popularity of Talk Like a Pirate Day. Talk Like a Pirate Day was fun, but after saying “Arrrr” a few times or telling the waiter serving your breakfast, “I be wantin’ some coffee, Matey,” there wasn’t much to it . . . other than having to explain yourself. 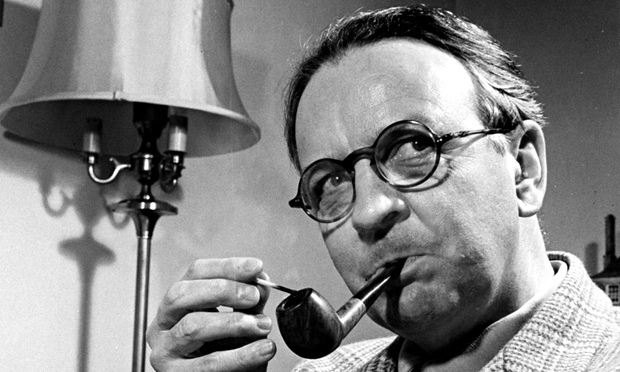 As it is Raymond Chandler’s birthday, July 23rd seemed the perfect day for it. It is an ideal marketing tool to promote work in this genre, but aside from the business aspect, I am really hoping that Talk/Write Like a Detective Novel Day will inspire people to take a little time, exercise their creativity, and just have some fun with a genre that has given me so much pleasure. 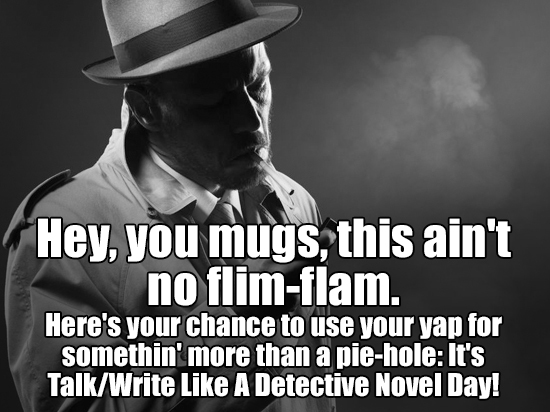 If you would like to participate in #DetectiveDay, just write a post or a few tweets in your best version of a hard-boiled detective story. Don’t let the “I’m not a writer” excuse hold you back. Some of the more entertaining pieces written for the past two Talk/Write Like a Detective Novel Days were intentionally written badly, with ridiculous similes and metaphors. Good and Bad don’t apply; just create something. 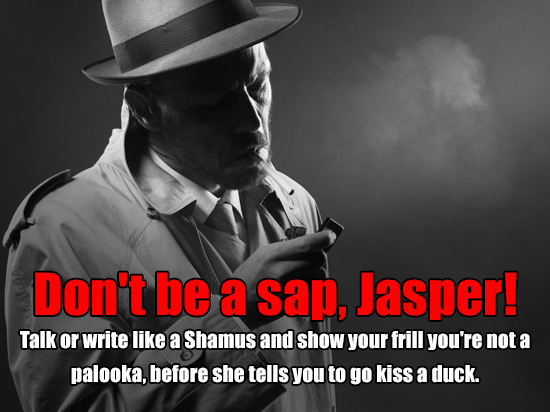 And remember, it’s Talk/Write Like a Detective Novel Day, so in your daily interactions with people, feel free to do your best Sam Spade or Philip Marlowe, if ya got the moxie for it. If you need a little help with slang check out this link. Find out more about Charles Constant on his Website, Facebook, and Twitter. We will update this blog in the coming weeks with some fun memes you can share for #DetectiveDay on July 23!